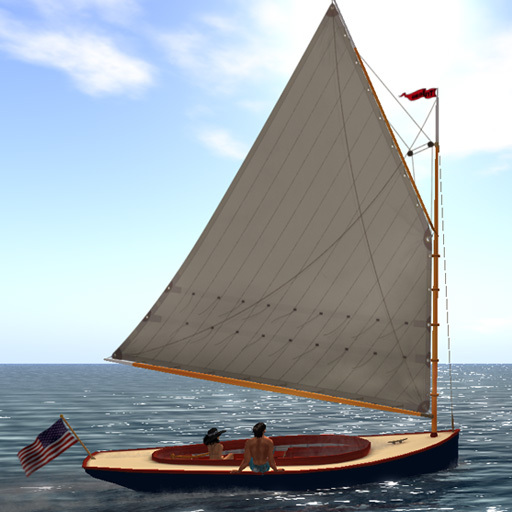 These are boats that you rez inworld, sit at the helm position and sail away! Some have extra detailing attachments. Some have enterable cabins. 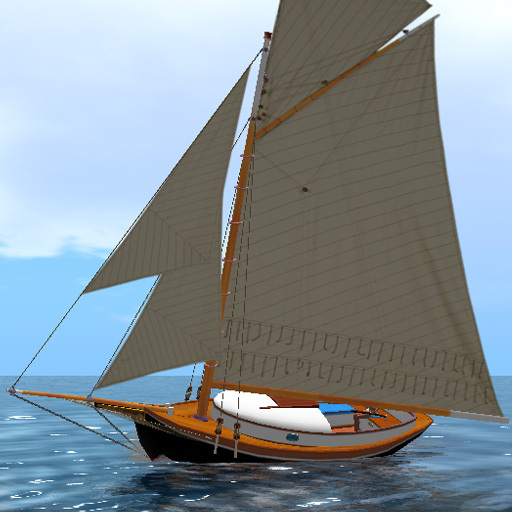 These are our latest models with curved sculpted “TruSails” and inworld luffing. 26.5ft L, 55 prim land impact. 65ft LOA, 53 prim land impact. Read all about Leetle here. Read all about One here. 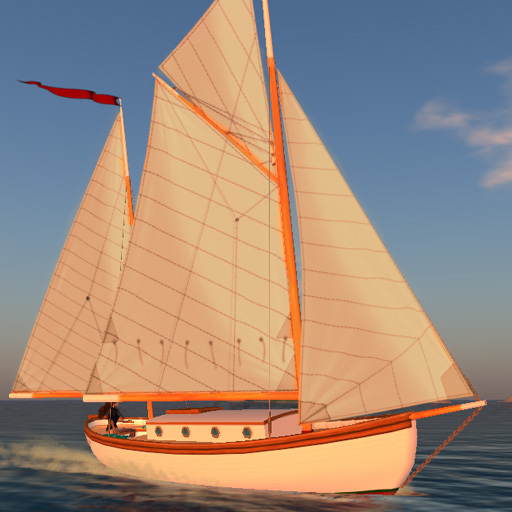 Models with detailed sail texturing on flat prims. Read all about Patchogue here. Our cruiser/racer with a functional cabin in a rideable boat! Read more about her here. The Trudeau Tahiti Ketch is an homage to the famous John Hanna design that has taken many of it’s real life owners on voyages to the far reaches of the globe. Popularized as a cruising boat at in the 1940s when there were no production cruising boats, you bought the plans from Hanna, built it in your backyard, and sailed off to the south seas – if you were lucky :) They have been called little ships because they are built strong and sail flat. Read all about our all new Tahiti II here. 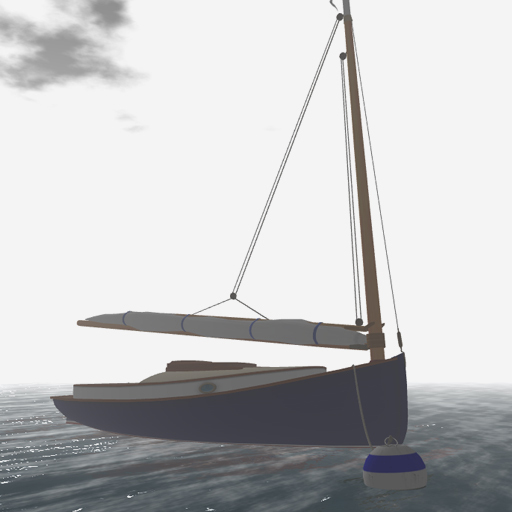 These are 2 piece boats – a sub 31 prim “vehicle” consisting of sails, skipper and passenger poseballs, sailing physics and control scripts. This is what you ride on. 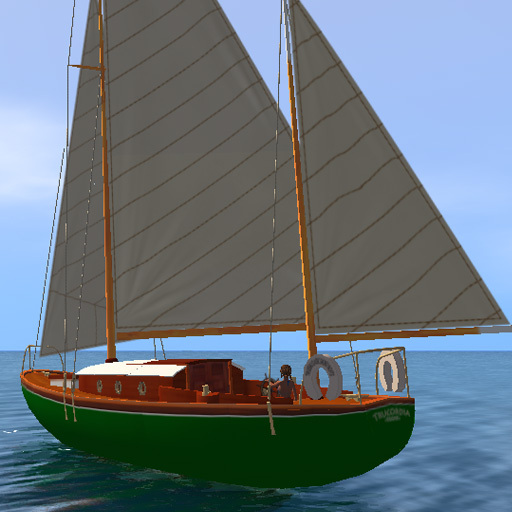 The rest of the boat is a detailed attachment that is worn on your avatar, not unlike prim shoes and hair. They don’t get any saltier than this! 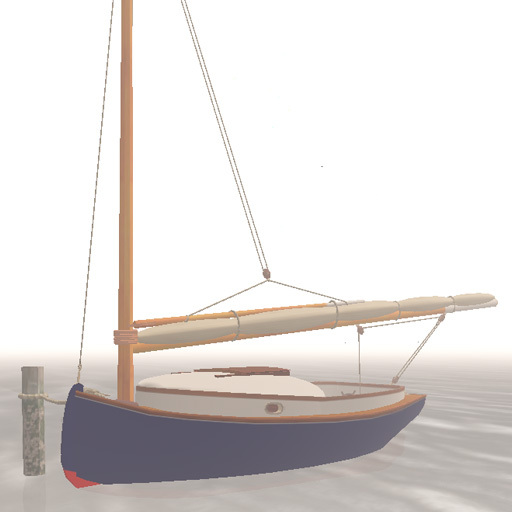 The Friendship Sloop – our take on the combination of seaworthiness and sailpower that was developed in a type of boat built in in and around Friendship, Maine in the late 19th and early 20th centuries. 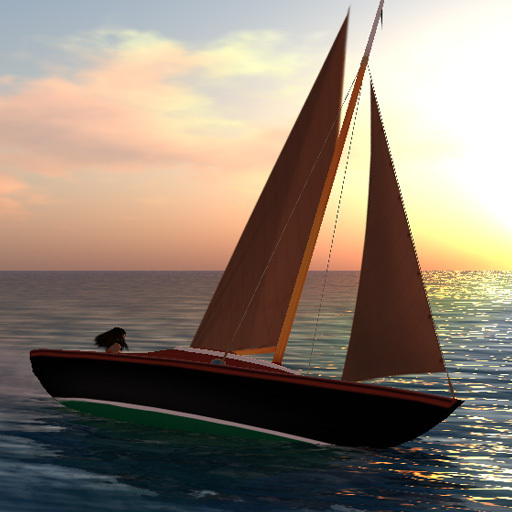 Originally used to fish offshore on the Georges Banks, these classics have found popularity in RL as small yachts. Her appealing lines – clipper bow, flying jib and staysail, have helped her make the transition from working boat to pleasure boat, keeping this elegant design alive and well. Trucordia was inspired by one of the most beautiful and prized sailing yachts ever designed, the famous Concordia Yawl of the 1950s. So what is a yawl? It is a sailboat with two masts with the aft “mizzen” mast smaller than the forward main mast. Doesn’t that also describe a ketch? Well yes, it does – the main difference between a ketch and a yawl is that the yawl’s mizzen mast is further aft, generally aft of the rudder position. The yawl’s mizzen sail is also smaller in proportion to that of a ketch and is primarily responsible for boat balance under sail rather than generating thrust. The topsail schooner Larinda, our largest and most elaborate sailing schoooner. From sprit to fantail, she is 70 feet of pure classic style. 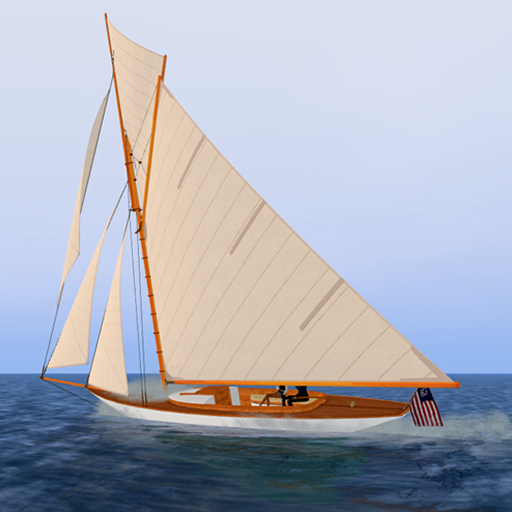 She is influenced by the designs of famed naval architect John Alden, considered the world’s greatest schooner designer. Also reminiscent of the 19th century New England fishing schooners, she was lofted and built up from RL boat plans, so her lines and proportions are exacting and true to life. Tradewind is the Trudeau Tall Ship. The shipwrights at Trudeau have modeled her – appearance and sailing characteristics – after the ocean-going vessels from the great age of sail. Rigged as a brigantine with working square sails on her foremast, fore and aft on the main and staysails between the masts, she is a sight to behold with all sails hoisted and set. Could I get more info on your boats, like photos of below deck. How many people will each model hold when not under sail? The models that you can live on? Beauregard, take a look at all the boats inworld at the Trudeau marina. You’ll find the location link in the “About” page on this site. Thanks for your interest! I’ve searched far and wide… Can’t find the price of your Alden schooner… I’d like to buy a copy. What a wonderful collection of boats! I’m going to buy several, and as a newbie, can you direct me to a collection of suggestions on where to sail, how to best rez the boats when I start sailing, etc. 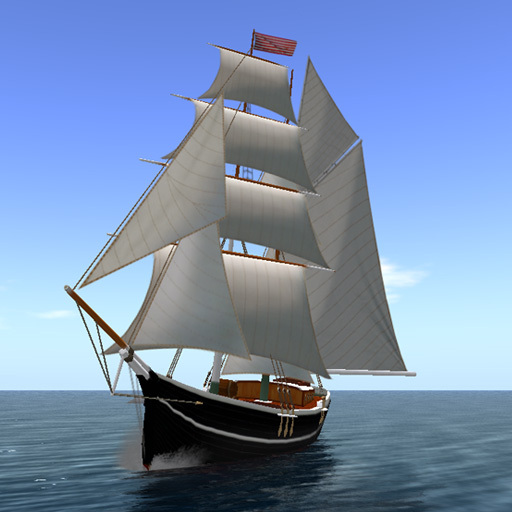 At this point, it would be fun to do the “live-aboard” – is that possible in SL? I’ve seen the docking at Nantucket. ‘can’t wait to see the next sail boat you create! Hi Rolf :) Thank you for the compliments. Yes! people do liveaboard their yachts in SL. There are quite a vew marinas that rent slip space such as Bear’s (there is a rental vendor in my boathouse). I know Fisher’s Island does, Nantucket (where you are) used to, I’m not sure about now. Like all real estate pricing in SL, the prices are generally based on the primcount allotment. One suggestion – I also tried to buy the Jacqcat and could not find a place where the right-click “buy” became active. Any help would be appreciated. Oh, one more thing. I’m rezed at about my actual 6 foot size. Inside the Larinda I kept banging my head, but my guess is that the lofting had the beams higher than that. Any weirdness going on here, or do I need to shrink! Super yachts, Jacqueline! I just took my new Trucordia out for a quick spin around kaiya’s Islands (my neighborhood in sl) and was delighted with it. I’d first heard about your boats from Ansel Gasparini and I am very pleased finally to own one! I took my new Tradewind on her maiden voyage at the Hepburn sim yesterday, and all I can say is wow. 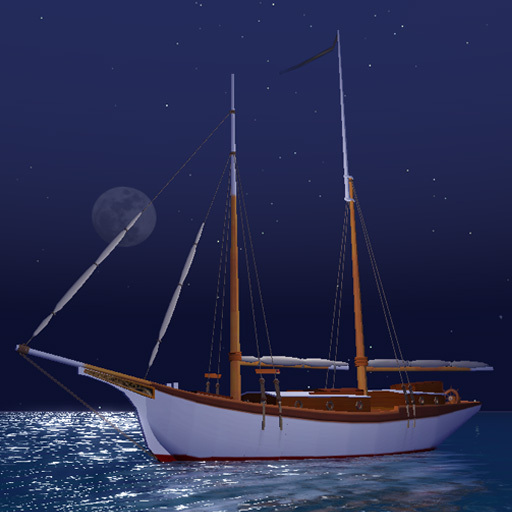 She sailed like a dream; ‘was using the solo HUD, and really liked the feature that when going downwind, with the aft sails in proper position, the square sails unfurl. This boat is a true work of art; the bowsprit, the barrels on the deck – you folks are great. Given my earlier post, its also super to have a ship with enough headroom to walk around below decks. Two questions: my son has a Jack Sparrow skin, so we want to take my Tradewind out as a pirate ship. Is there some simple way to attach a pirate flag? Also, can I alter something to let him be at the helm and not just crew. The flag, like all the textured surfaces in all our yachts, is modifiable. You can apply you own Jolly Roger on it (if you don’t have a suitable texture, contact me inworld – i’ll drop a version on you). As far as someone else helming the boat, I’m afraid not. Tradewind is an attachable, SL requires that you be the owner of something before you can wear it. May I have passengers on my Trudeau 32 ? And, if the answer is yes, which is the procedure? 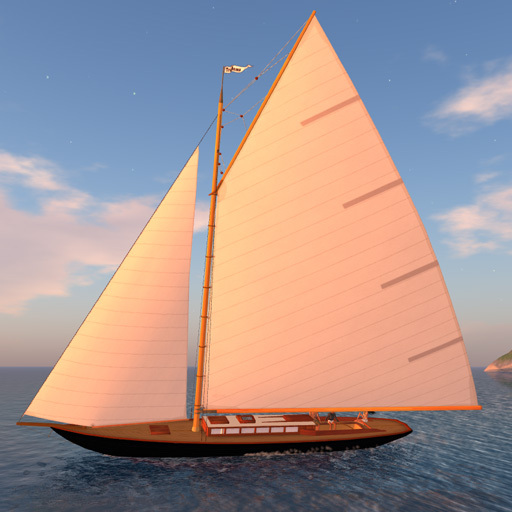 Hi curios, the build costs are minimal :) But you do understand these boats only exist and travel within the virtual reality of Second Life (secondlife.com) ? 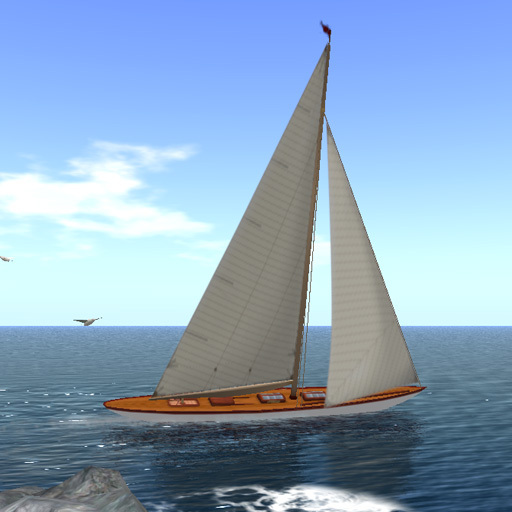 I have sailed on a friends Trucordia and loved it, I went on the Blake Sea yesterday with a friend in a freebie yacht and I just had to buy the Knockabout. I know the boat style well from my youth and can’t wait to get back from my 2 week boating vacation that starts today, so I can sail her! Thanks! Jackie. Could I please get some tips on using the mooring buoy and line effectively? Is there an easy way to use these without having to “edit” every time to get it placed right when setting it up after sailing? Unfortunately , I don’t currently offer the Friendship. Hi.. I love my Knockabout. Just wanted to vote for an upgrade to sails, and other features in your newer boats. Hi Doro, thanks! Our Francois Jacques is similar in size and concept to our old Knockabout, with all the features of our newer boats.